It's September, and everyone's settled in their new apartments, homes, even cities for those new to Chicago. The High Holidays have also come and gone, so we're all renewed with purpose to make this year better than the last. There's no better time to meet new Jews! The High Holidays can be a much-needed reminder of just how many Jewish people are out there that you've yet to meet, and yes – there are still plenty of other gefilte fish in the sea. 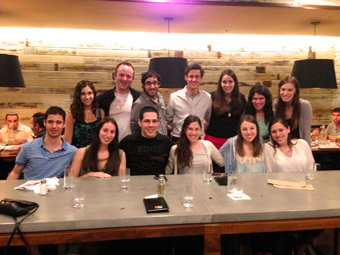 But you can meet young Jews all year long – if you know what to do and where to go! To help, we've assembled what we think are the 18 best ways to meet Jews in Chicago. Which have you tried? What works best? What did we miss? P.S., if you're a new graduate, be sure to check out this Class of 2013 Networking Happy Hour to get started on your Jewish social networking journey. Synagogue, overnight camp, youth group, high school, your Israel trip/program – you agreed to be Facebook friends with these people for a reason. It's time to cash in. 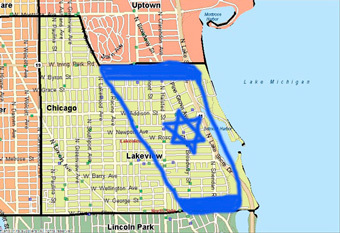 Chances are someone you knew in a former life lives in the area and has other Jewish friends whom you can meet. Honor the Sabbath, and keep it social. You never have to be alone on a Friday night if you don't want to be. If no one you know is hosting a dinner, ask around and you'll eventually find an open invitation, or you can check Shabbat.com or organize your own dinner through Birthright Next. If you're not averse to a Friday night Shabbat service, there are lots of independent minyans in the city on Friday nights. Often there's dinner or snacks and time for schmoozing afterward. And if you are averse to prayer – there is dinner or snacks and time for schmoozing afterward. For a more spontaneous encounter, walk around East Lakeview or West Rogers Park. You'll run into someone you know – or, if you don't know that many people, ask a Jewish friend or two to accompany you and you'll quadruple your chances. For best results, shop for groceries at the Jewel in these neighborhoods, and of course, only venture to the lakefront on days that are warm with minimal wind off the lake. Various synagogues and non-profits have divisions or chapters specifically for young people, and they put on lots of events and programs. JUF's Young Leadership Division, Moishe House Chicago, Bucktown Wicker Park Chabad and Anshe Emet Synagogue's YAD are a few examples. If you're looking for a way to spend holidays or social justice or learning opportunities, these are the groups you want to seek out. 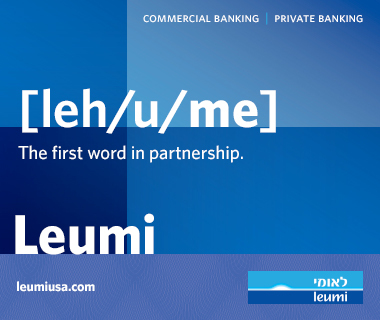 Plus, they also have a vested interest in connecting you with other Jews. They're like your mother, but less embarrassing. YLD's LEADS program connects you with a small group of Jews in your age group and neighborhood. In addition to socializing, LEADS groups help connect you with other Jewish opportunities and create a space to talk about relevant Jewish topics. You meet with the same group once a week for eight weeks, and hopefully beyond! If you're quick, you can register for Fall LEADS (starts Sept. 23) right now! The above young adult groups usually have opportunities for you to join kickball or softball leagues, play basketball, volleyball or ultimate frisbee, and more. 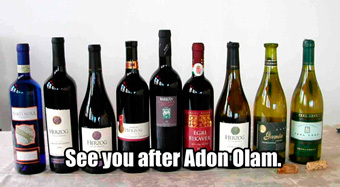 And don't worry, where you get drinks after is always going to be more important than the final score. Fact: Jewish people gather around food, so go to places Jews like to eat. 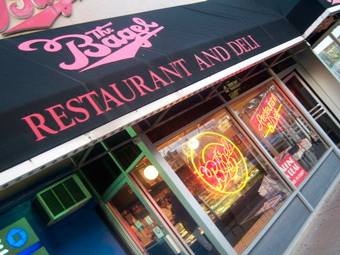 Kosher restaurants such as East Lakeview hotspots The Bagel or Milt's BBQ are sure to place you among fellow MOTs, or take your lunch hour in the Loop at Naf Naf Grill or BenjYehuda. And you can journey to Manny's Deli if you're feeling especially adventurous. 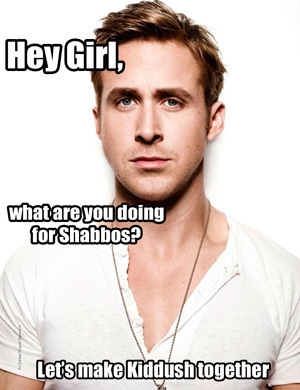 Volunteering is a rare win-win-win, especially when you do it through a Jewish organization. You feel good doing something good in the community, the community benefits from your help and you meet other good-hearted, justice-minded Jews in the process. Check out these Jewish organizations that need your help, connect with the TOV Volunteer Network or visit Chicago Cares for city-wide opportunities. Self-identify! Break out that Birthright hoodie, that T-shirt with your college's name written in Hebrew on it for game day, or if it still fits, dust off the Coca-Cola in Hebrew shirt you got when that one relative came back from Israel. Guaranteed someone will compliment you on what you're wearing and it might lead to a conversation. (For best results, wear in East Lakeview). Watching your alma mater's football or basketball game at a bar affiliated with your school is the closest you will get to reliving your undergrad days, when you never had trouble meeting Jewish people. Well, those Jews also graduated, and lots of them moved to Chicago. 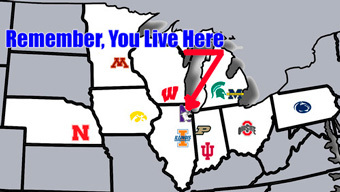 Didn't go to a Big Ten school? Adopt one. Pick the one your parent or sibling went to, or whichever one was your safety school. 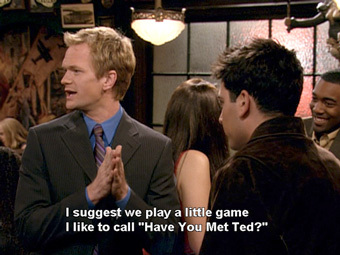 Remember that moment after you graduated when you realized that classes were such a great and easy way to meet people? Well, there are still lots of classes out there, and tons for Jews: ulpan at the JCC, graduate programs at Spertus, Talmud with SVARA and guitar at Old Town School of Folk Music. 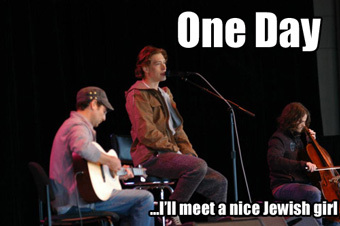 Ever notice that all your Jewish friends show up to the same concerts? Some of the above artists are Jewish, Israeli or just inexplicably have a Jewish following, so getting tickets is a safe bet to meet Jews, plus you get entertained. Since these big acts aren't always in town, keep tabs on who's performing at City Winery or bookmark the KFAR Center page. There are some events that everyone and their cousin will be at, so you can't go wrong registering. The annual Christmas Eve Matzo Bash draws more than a thousand people and is co-sponsored by a number of Chicago Jewish young adult groups. YLD's Big Event (aptly named) is also coming up in November featuring comedians Jim Gaffigan and Amy Schumer. Israel's rich culture and talent has given us lots of festivals, even here in Chicago, and who should go to these festivals if not the Jews? Next month is the Chicago Festival of Israeli Cinema, and hopefully the newly started Israeli Jazz Festival will return in the spring, along with community staples such as JUF's Walk With Israel, Friends of the IDF's Yom Ha'atzmaut Celebration and more. Sometimes to meet people in Chicago, you have to go to Israel. Yes, the logic is sound. 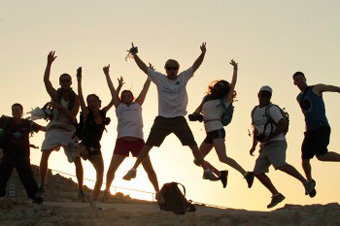 If you've never been to Israel, sign up for a Birthright trip with Chicago-based participants! You will have a whole cadre of new friends right when you get home. Shorashim has a great trip for Chicagoans. If you're fast enough, you might even be able to get on a winter trip! The Rabbis blessed us with more Jewish holidays than we know what to do with, which means you have built-in excuses to invite people to celebrate things. 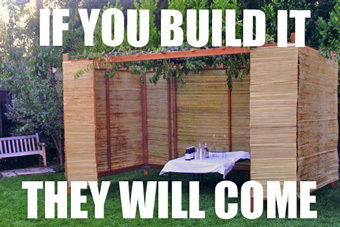 Start building your Sukkah right now, or get creative and organize candied apple-making for Simchat Torah. Take charge of your Jewish social life! Forget any stigma that existed about meeting Jewish people online. We're all doing it. Sign up for JDate (your grandmother might even offer you a scholarship) or any other site that allows you to filter your search results by religion. At the least, you'll get some good stories and valuable life experience, and at the most – need we say more.